These are two big and complex Company buildings (with full interior) I build with my friends. The tower is an oil Company with lots of offices and things like that. 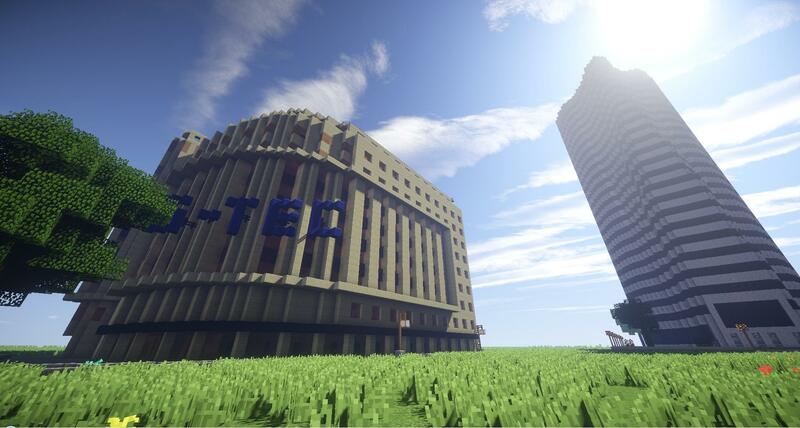 The other one is a building of a chemistry Company with labs, offices and some interesting things with redstone in it ;). You can use the buildings for your own map if you want.